TytoCare enables standard throat, ear, eye, skin, heart and lung exams of high enough quality to enable a remote diagnosis by the child’s doctor. Your preschooler wakes up with an earache and fever. You tell your boss you’ll be late to work, wangle a pediatrician appointment, bundle up the sick kid, sit in a waiting room full of other sick kids, spend five minutes with the doctor, and leave with a prescription and/or orders to return for a follow-up exam. All parents loathe this scenario, but Israeli dad and healthcare industry entrepreneur Dedi Gilad took the initiative to change it. His vision was a home telemedicine kit to help parents perform standard throat, ear, eye, skin, heart and lung examinations of high enough quality to enable a remote diagnosis by the child’s physician. And it would not be limited only to pediatric patients. 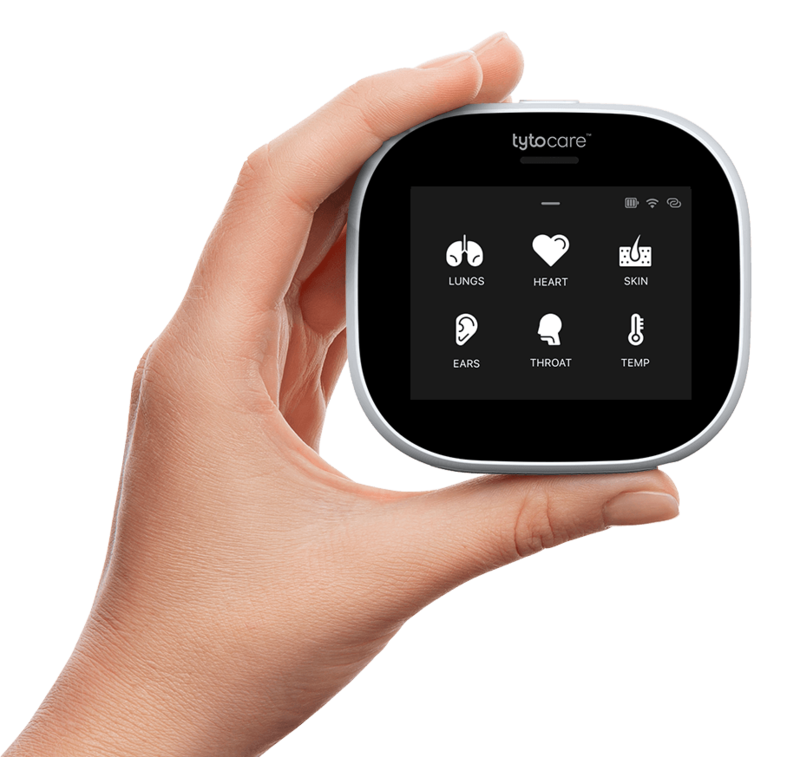 In 2012, Gilad and Ofer Tzadik founded TytoCare and spent nearly three years perfecting the technology and design. The Netanya-based company raised $18.5 million from investors including US drugstore chain Walgreens, and now is beta-testing its user-friendly kits for home and clinical use. 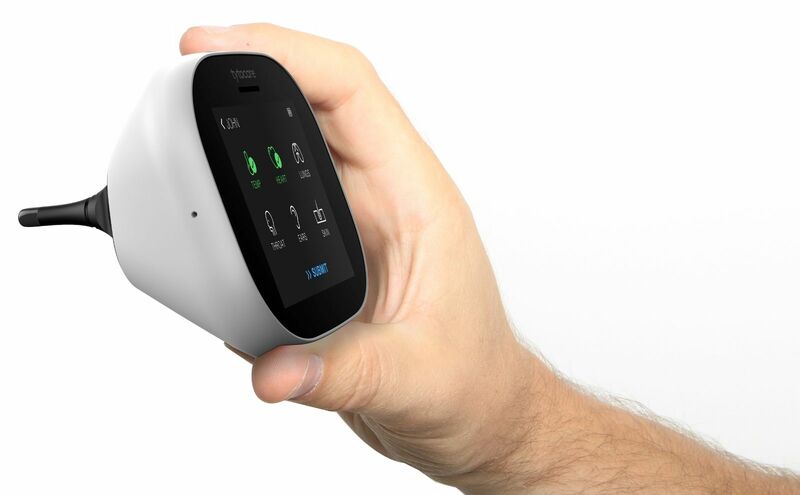 The telehealth platform and home kit includes a modular device with a stethoscope, otoscope and computer-vision camera, along with smart audio-visual guidance to the user. Exam results are transmitted to the patient’s chosen clinician via a HIPAA-compliant secure connection. Alternatively, the user can make a remote appointment with the doctor and perform the exams while seeing and talking to the doctor through Tyto’s video conference feature. This way, patients who feel sick can receive their physician’s feedback when an in-clinic visit isn’t possible. This is expected to help patients avoid unnecessary visits to the ER or to unfamiliar physicians. “Telehealth services are booming, especially in the US, where telehealth visits comprise about 2 percent of about 700 million primary-care visits annually,” says Ophir Lotan, vice president-product for TytoCare. “Dedi and Ofer started by analyzing and talking to the US market and found that there is a strong need for lowering the load and cost as well as improving accessibility to healthcare services even from the comfort of consumers’ homes,” Lotan tells ISRAEL21c. He notes that more than half of all US hospitals currently host a telemedicine program and 90% of surveyed healthcare executives say their organizations have started developing or implementing telemedicine programs. The number of Americans using telemedicine services is expected to increase to 7 million by 2018. TytoCare is now completing its FDA clearance process to enable marketing the device and the platform in the US market, and the company is pursuing multiple business opportunities and collaborations in different verticals. “We will focus on a few pilots in the next few months to validate the product and the business opportunities,” Lotan says. The TytoPro kit, a more robust version that integrates images, audio recordings and notes into existing electronic health records, will cost closer to similar professional tools used by clinicians. This device enables physicians to examine patients in their clinic or in a home visit and utilize the information for patient education, motivating follow-up care, comparison over time, or sharing exams with other clinicians for a second opinion. Both versions will be made by a multinational medical-device manufacturer. As for competitors, Lotan says another company is developing a similar concept but is at an earlier stage than TytoCare. TytoCare has 25 employees, mostly working in R&D, and expects to increase its numbers by a third in 2016. An initial team has been recruited to lead the US sales/marketing and operations out of New York City as well.